Purdue University offers a unique golf experience in the Birck Boilermaker Golf Complex. Here you'll find two, 18-hole golf courses that were professionally designed and are excellently maintained. Ackerman Hills is an 18-hole, par-71, championship golf course that sits quietly alongside Purdue's main campus. Designed by Indiana Golf Hall-of-Fame Member Bill Diddle in the early 1920's, Ackerman Hills is a traditional parkland-style golf course that works its way through mature trees and rolling hills. Formerly known as the Purdue South Course, the Ackerman course has played host to an NCAA Championship and numerous other prestigious tournaments including the annual Drew Brees charity event. Ackerman Hills is sure to provide you with a fun test of golf! Please call 765-494-3139 for current rates. 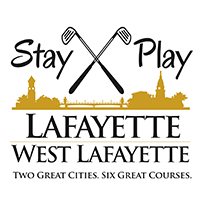 Call 765-494-3139 for rates and tee times. Contact Birck Boilermaker Golf Complex, Ackerman-Allen at 765-494-3139 for more information and details on holding a golf outing at the course. Contact Birck Boilermaker Golf Complex, Ackerman-Allen at 765-494-3139. Contact Birck Boilermaker Golf Complex, Ackerman-Allen at 765-494-3139 for onsite or nearby dining options. Watch the Ackerman Allen Golf Course Video. This profile was last updated on 03/21/2018 and has been viewed 15,304 times.